ENPLAN develops and maintains web maps that provide interactive access to geospatial information. All our maps are layered on top of Google Maps base, the best orthoimagery available, and run on ENPLAN’s MapPort® cloud platform. Users need only a current browser for full access and operation. Two of our best known public-facing maps are PARCEL VIEWER (PV) and WILDFIRE VIEWER (WV). 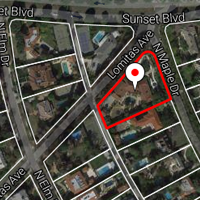 We also make custom maps for a wide variety of enterprise applications. Designed to support land parcel research, management and use planning, PARCEL VIEWER is known for its simplicity and professional functionalities. The tools and data sets are all accessible directly from the map interface. Subscriptions are available by county for much of California. With seats added, multiple users may be logged on simultaneously, making PV an excellent enterprise solution. Collaboration is supported with live view sharing via links. No up-charges are applied for use or downloading of data. Full details are available here. 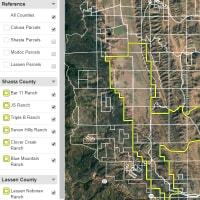 Our wildfire viewing portal displays live feeds of two types of fire data for conterminous USA. Fire symbols indicate ground locations where MODIS and VIIRS sensors, developed and operated by the National Aeronautics and Space Administration (NASA), have detected hotspots. 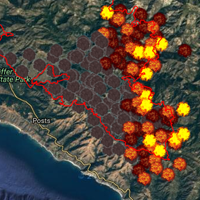 Perimeters reported through GeoMAC, the wildfire agency consortium site, show the actual and potential extents of burn. Both of these feeds are updated hourly and symbols are aged to show fire progression. Other federal and state reference data layers are displayed as relevant. WV is available to the public via subscription at a modest fee. It is also available to all first responder agencies and media conveying agency announcements and orders without fee as a courtesy. More details about WILDFIRE VIEWER here. We display client data in custom maps where clients need to see their own data in relation to MapPort® datasets. They are built expressly for individual client access and are fully secured. Client data is layered, symbolized and attributes are attached by ENPLAN geospatial technologists. User access permissions are determined by the client and can range from executive, showing all data, to public, showing only layers specified, as well as other permission levels between. © 2018 ENPLAN. All Rights Reserved.